When you hear the words "guard dog" you may get an image in your mind of a huge growling dog, showing his very sharp teeth, looking like it's a breath away from attacking. So with that image in mind, can a Shih Tzu be a guard dog? 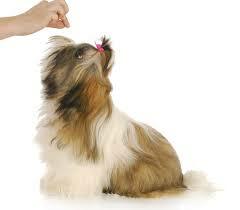 Given its small stature, it is highly unlikely that a Shih Tzu would be a good guard dog. However, they do make excellent watch dogs! 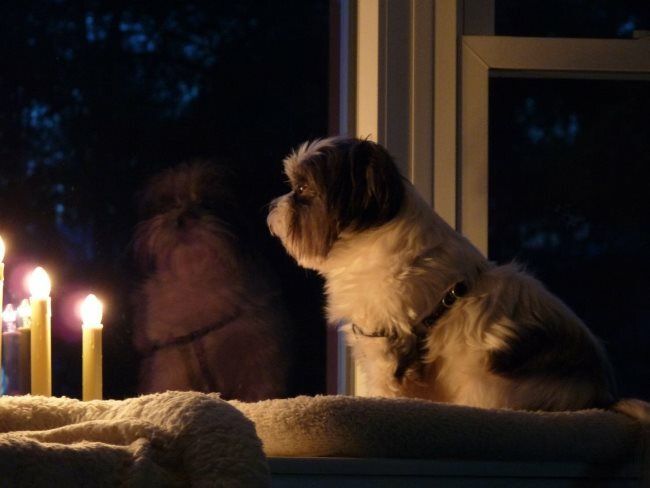 If you’re looking for a dog to simply alert you when someone is approaching your home, a Shih Tzu could be a good deterrent toward an intruder. If you’re looking for a dog that will attack an intruder looking to harm your family or vandalize your property, you most likely won’t find that trait from this toy breed. Shih Tzu are not bred to be guard dogs. In fact, they are bred simply to be a companion to you. The difference between a watch dog and a guard dog is pretty significant. A watch dog keeps their eyes and ears vigilant and sounds the alarm, usually by barking, when something isn't right, like a trespasser coming to your door. They usually will not attack the trespasser, only alert you to their presence. While a guard dog is a dog that not only watches and alerts, but also engages the intruder through either a bite or by chasing them away with the intent of one. A well-trained watch or guard dog will also know the difference between a normal encounter from those that may pose more of a threat. Shih Tzu dogs are pretty smart, and they have really excellent hearing, which makes them very aware of his surroundings. They can be trained to "alert" you to things that look and sound suspicious to them. That being said our little Shih Tzu, Rufus, is our watch dog and on a small level our guard dog too. He vigilantly sits in his favorite spot in the window, watching what goes on outside. If someone is approaching the steps onto our property, he will give us a heads up. He will start with a low growl when they get close to the house, as a way to warn us that there is someone outside and he's not quite sure who they are and whether they should be permitted in yet. Once that person approaches the door, if we haven’t already given him the "ok" and release him from his duties, he will continue to bark to let them know that they better watch out, because he’s on duty and they will have to get by him before getting inside. But with Rufus, if someone walks in who hasn't been invited by us, they will find themselves being greeted by a barking dog barreling toward them rather fiercely. It's usually about this time that they change their minds about him being harmless and cute. In fact, he now becomes a much more intimidating to them. He won't bite them, but he will sniff around them and hold them where they stand until they have been given the stamp of approval from us. 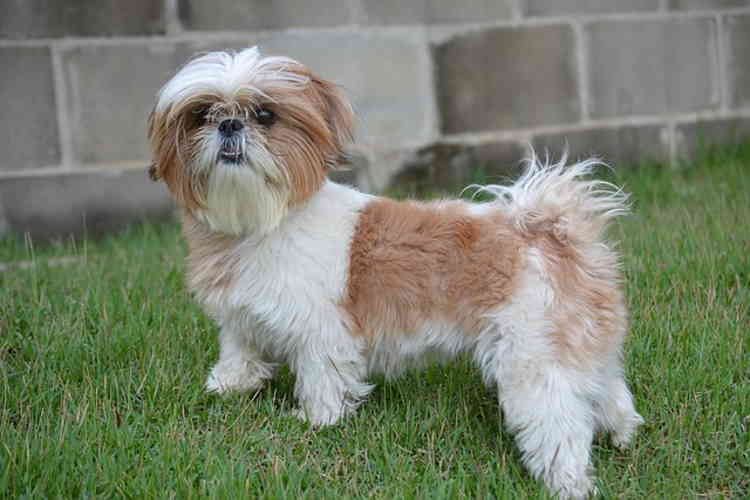 However, Rufus is probably the exception rather than the rule of a typical Shih Tzu. Our boy Max will let out a couple lazy barks at times, and if someone enters he’ll only require a pat on the head or a simple acknowledgement, then he'll turn away and play with his toys, or even take a nap. Getting inside the mind of your dog, is a lot easier than you think. They don't think like humans, and will usually show you who they are and what they like, pretty early on in your relationship with them. In other words, they are not complicated beings to figure out. A typical Shih Tzu is that of a calm, friendly, loyal, affectionate, and sweet natured little dog, that are hopelessly devoted to you. Most Shih Tzu would love nothing better than to sit in your lap and cuddle all day. They are also a quiet breed which makes them a great dog to have when you don't want a lot of unnecessary yapping. They also have huge personalities, and can be a bit on the stubborn side. Although small in stature, they are a very solid and sturdy dog. We often wonder how they squeeze all that personality into such a tiny little body. So with all that cuteness, it’s hard not spoil them while also letting them get away with a little bad behavior now and then. However, if you don’t keep any bad behavior in check, a little misbehaving now can grow into them becoming hard to manage as they will think they are in charge. Teaching your dog to be a good watch dog takes a little bit more time than just basic dog training. But if you have already trained them in the fundamentals of good behavior, it will be easier to extend that training to being a good watch dog. As written previously, the role of a watch dog is to simply alert you when they see or hear one of those specific things you want him to bark at, like an intruder. So you need to train your dog to know the difference between good barking and inappropriate or excessing barking. In the beginning when you're teaching him when to sound the alarms, it is essential that you go to him every time he barks to see what he is actually barking at. Then once you see what he's alerting on, you either give him praise or discipline. For instance, if he is alerting you for a good reason, like a stranger coming onto your property, you praise him with a word, a pat, maybe give him a treat or even all three of these gestures, to let him know that was a good alert. Or if he's just barking at a squirrel or something insignificant, you tell him "No" or some other word that you will use consistently for this particular training, and walk away without giving a reward. If you do not do this, and do it consistently, you will encourage his barking at everything. He will naturally repeat a behavior that brings him things that he likes and will soon realize what action doesn't get him those good things. It will take a little time for him to understand what he is being praised for, but he is smart and will eventually get it. Don't give up, with patience he will then only alert you when it's actually needed. You may find that he may still bark at a random squirrel or a cat or even a family member for his own pleasure. But it will be a different sound than when he's trying to alert you something that is suspicious. To help speed up the process of teaching him what to alert to and what not to alert to, enlist the help of friends and neighbors. For example, if you want your dog to bark at someone peeping in your windows, ask a friend whom your dog doesn't know very well, to do that and then have them try to open it being sure to make some noise to draw your dogs attention to the sound. Then when he starts barking at them, you reward him with praises and treats. If you want him not to bark at people just walking past your home, ask your neighbors to walk past your home every couple minutes so when your dog barks at them you can let him know that this alert is not acceptable and doesn't warrant praise or rewards. Overall, remember that a Shih Tzu is not a robot, they may not want to be a watch dog, only your companion and friend. If you're sole intent on getting a dog is to guard your home or family, you should really consider another, larger breed, who are bred for this type of work. But if you're heart is set on a Shih Tzu, and you want that little extra security when you're at home, just remember a Shih Tzu can be trained to alert you to strangers, but he would much rather sit on your lap and cuddle.